To be a smart housewife, and a good mother is not that easy. When you are glad that your son is well-behaved for this second, he may mess with you in the next second. At the same moment, there is a lot of housework for you to do! Here to share some smart-designed household items from a different country (US, Korea, and the UK) to make your housework become easier. After that, you can reduce the burden and save a lot of time from doing housework, and then, spend the quality time with your family or have your pleasure ME-time! Sometimes we just don’t know why, the garbage is often full in less than half a day, and it will also emit odors. 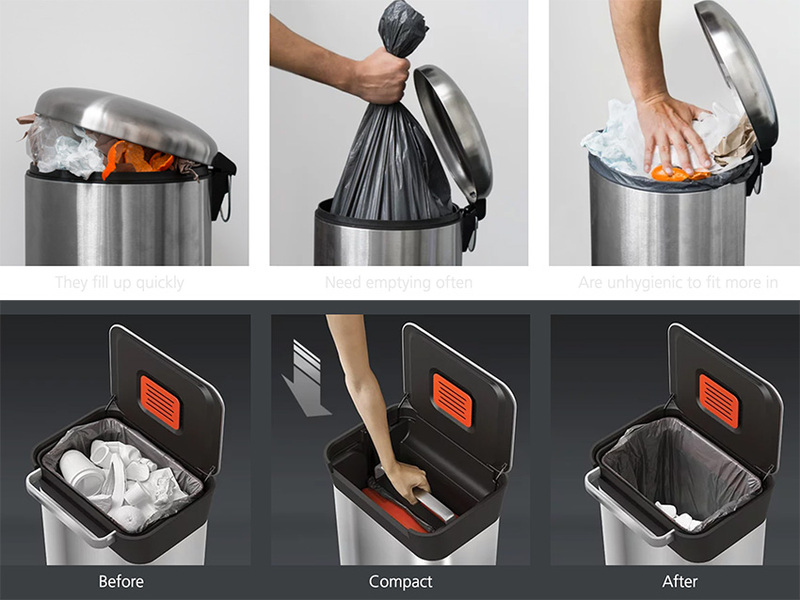 A UK popular household brand Joseph Joseph introduces Titan30, a hand-pressed smart trash can, which reduces the amount of waste by 66 %. 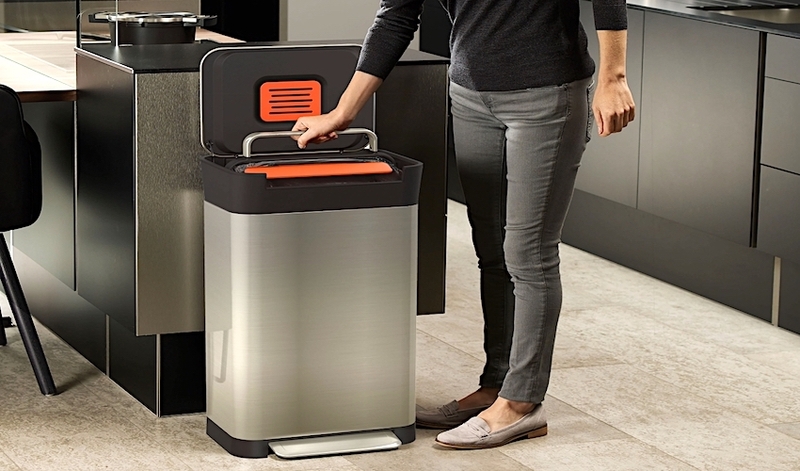 The Titan30 uses a patented extrusion technology that can hold up to 3 times more than a typical trash can. When the trash can is full, there is no need to replace the garbage bag immediately, just press the handle down to make more space. When the garbage is squeezed, the garbage bag can completely cover the garbage, the hands will not touch the garbage and get dirty. The stainless steel material of the handle can also prevent fingerprint residue. You may be worried about the odor which you couldn’t stand if didn’t dump the garbage regularly, right? There is an activated carbon deodorizing filter on the trash can, which can effectively neutralize the smell of garbage. Even if it is not dumped for many days, it will not smell bad! I think this trash can is best for a housewife but also a busy OL! Joseph Joseph Titan 30 is much more expensive in Malaysia, it cost about RM1500+. And now you can spend the only RM800+(RM900+if included product and shipping cost) through Comparee. When we iron clothes, we often accidentally put the iron on clothes, and the result is that our favorite clothes are burnt. Not only that, but it will also cause damage to our expensive iron. And now you can just let go your hand on the ironing board with this US Brand, Oliso Smart Iron. 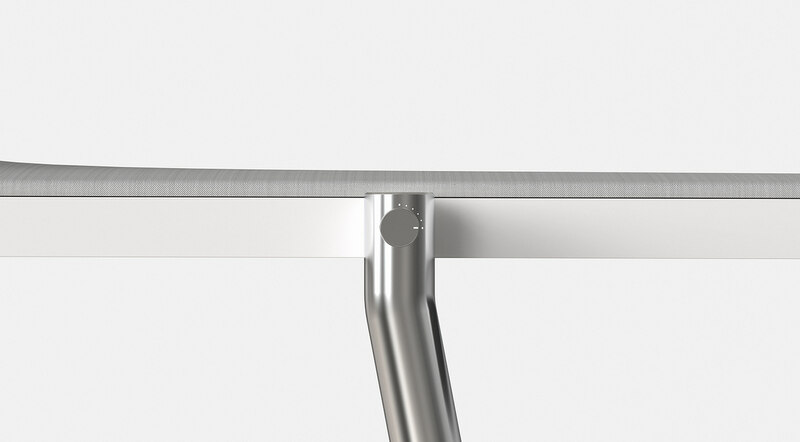 Thanks to its iTouch technology, the iron will automatically lift itself up and down when sensing the touch on the handle. Oliso claimed that the iron can save you 30% time simply by not having to pick up the iron. This smart iron can also reduce the burden of your wrists, shoulders, neck and upper back. So, you might get your ironing job done quicker with less effort! Oliso Smart Iron have different models which emphasized for different kind of users, such as TG1600 is ideal iron for quilters, sewers, and crafters, TG1100 is best for fans of steam, and TG1050 is for those who have no extra need. They both can auto shut-off, but only PRO TG1600 comes with an extended 30-minute auto shut-off feature. Where can buy Oliso Smart Iron? Oliso is convenient and with high-tech, but hard to find it online in Malaysia. We only found TG1600 Pro on Lazada, it may cost you RM1300+. And now you can get lower to RM500+ compare to global deal through Comparee! 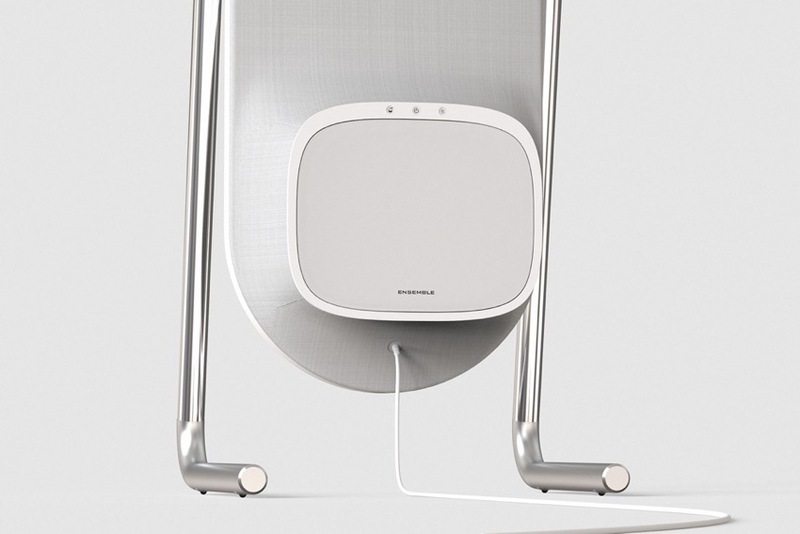 After talking about smart iron, why don’t we talk about the ironing board? I believe that many mothers will think that the ironing board is very space-consuming. We just don’t know where to keep it is the best place, hang it up might a better way before we meet ENSEMBLE! ENSEMBLE is a Korea brand launched by designers Sung Hyun Kwon, Yungi Min, and Byeongjae Ha. 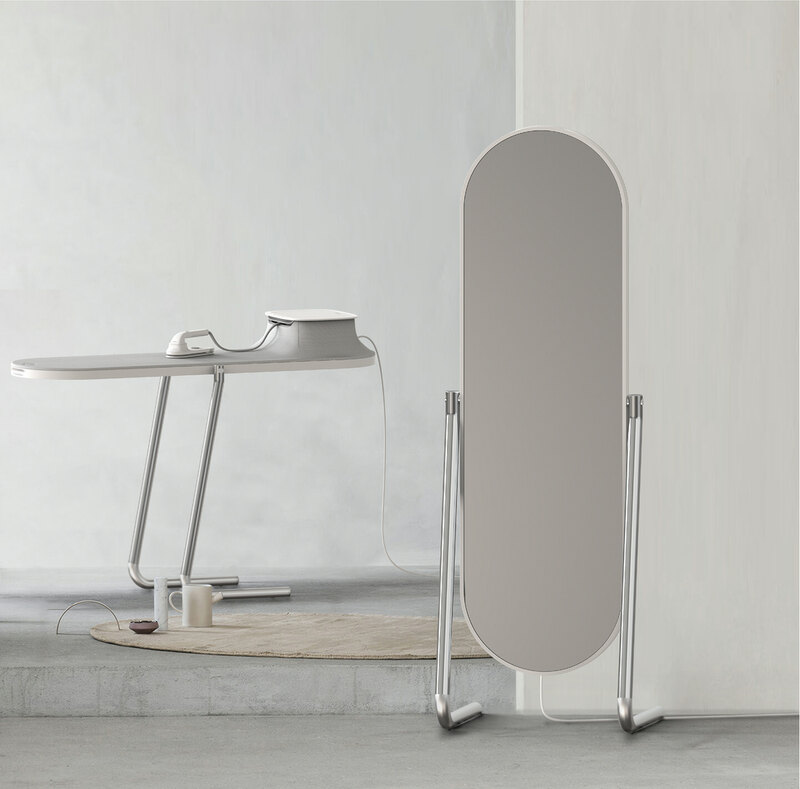 Can you imagine, it one side is a mirror, and the other is an ironing board?! Multi-purpose is a solution that many designers have come up with for increasingly narrow living spaces. When ironing clothes, just flip the mirror over, saving both the home space and fulfilling basic living needs. Is it a very creative way to use an ironing board? ENSEMBLE itself has a drawer with an iron, various iron modules and brush heads (yes, you can choose the appropriate iron module depending on the fabric), the water tank and the perfume storage. When the hot steam ironing your clothes, the aroma will slowly spread from the diffuser. Such an add-valued function, you must be pleasant by the fragrance of the clothes after you suit up. Unfortunately, it is a new-released product which just launched on February 14th, 2019, can’t find any purchase channel online. Follow up for the most up-to-date new on premium brands related products. Read More: 17 Creative Theme Blankets That Children Not Willing to Kick Off!